Eleonora Duse was one of the most famous actresses of the early 20th century. 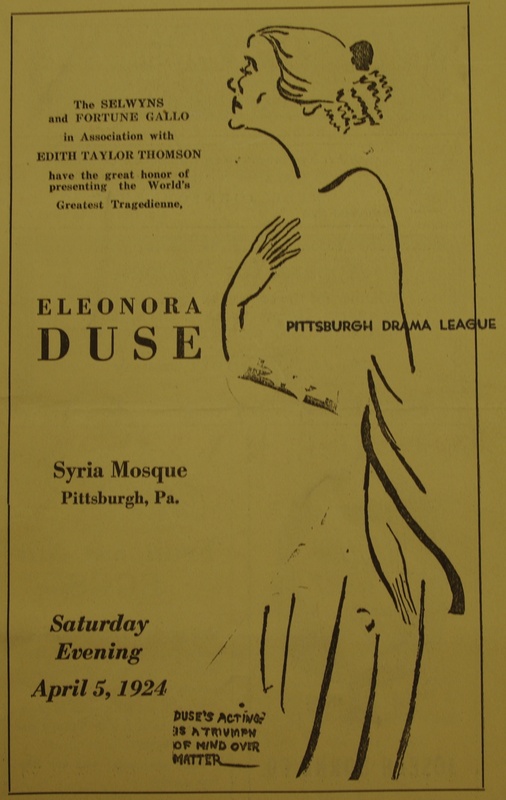 In poor health, and at the age of 65, Duse’s Syria Mosque premiere would be the final concert of her life. Duse died April 21st, 1924, in suite 524 of the Hotel Schenley (now the William Pitt Union) of pneumonia.